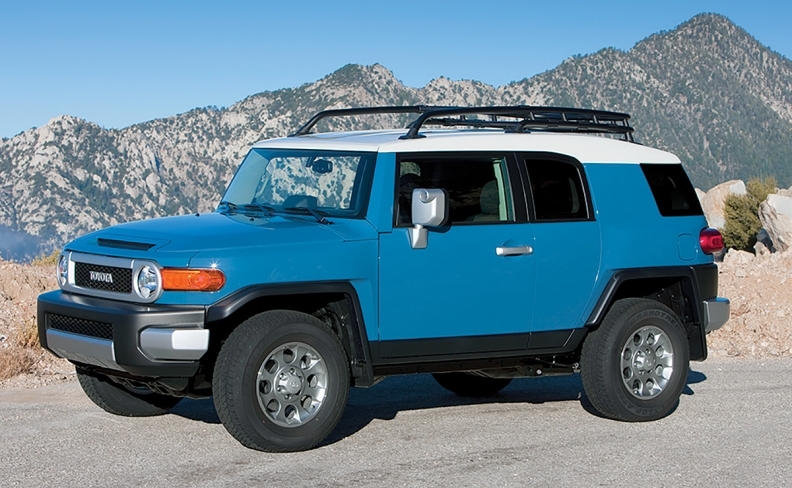 The Toyota FJ Cruiser, now out of production, retains 83 per cent of its value, illustrating the demand for utility vehicles. The erosion of the market for conventional sedans in favour of utility vehicles is hurting the retained value of used models, according to data compiled by Canadian Black Book (CBB). It’s more bad news for the shrinking subcompact, compact and intermediate new-car segments that used to account for more than 50 per cent of Canadian sales, which reached a record 1.94 million units in 2016. Subcompacts fare the worst, holding only 37 per cent of their MSRP after four years of ownership, compared with an overall average of just over 50 per cent across all segments, according to CBB’s retained-value report. By contrast, small pickups retained 73 per cent of their value as a group, full-size luxury utilities 60 per cent and full-size pickups 59 per cent. The strong numbers are due to both domestic demand for used models in these segments as well as exports fueled by U.S. demand for clean used trucks and utility vehicles. “As consumers shift their desires to things that are SUV in nature, then it becomes more difficult to sell a subcompact or compact car as a used vehicle, too,” said Brian Murphy, CBB’s vice-president of research and editorial in an interview. It’s important, said Murphy, because it makes new sedans (luxury segment excepted) a less attractive value proposition in an era when 55 per cent of new-vehicle loans have 84-month terms, some as long as 96 months, according to J.D. Power PIN Automotive Metrics data. The most recent report found 43 per cent of Canadian new-car transactions involve a trade-in and about 30 per cent of those buyers had negative equity on that trade, the gap averaging almost $7,000. That difference ends up being lumped into the new vehicle’s financing, creating an extra credit burden. It’s advantageous for buyers to consider retained value when they go shopping, he said, because they’ll be better off in the end. CBB named Subaru, Toyota and Porsche as overall retained-value brand winners in the car, truck/utility and luxury categories, respectively. The Toyota FJ Cruiser utility vehicle, now out of production, took the title of the highest retained value, at a record 83 per cent of suggested list price. Toyota’s Prius C hybrid dethroned perennial winner Honda Fit in the subcompact category. Subaru XV Crosstrek (compact car), Toyota Camry (midsize car), Toyota Avalon (full-size car), Volvo XC70 (entry-level luxury car), Porsche Panamera (premium luxury car), Porsche Boxster (premium sports car) and Dodge Challenger (sports car). Toyota Tundra (full-size pickup), Honda Odyssey/Toyota Sienna (minivan, tie), Mercedes-Benz Sprinter (full-size commercial van), Nissan NV200 (midsize commercial van) Toyota Sequoia (full-size SUV), Audi Q5 (compact luxury SUV), Porsche Cayenne (midsize SUV), Mercedes-Benz G-Class (full-size luxury SUV).